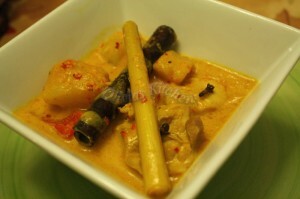 Curry is known in Indonesian as Kare . My mom used to cook this quite a bit , although it wasn’t on my favourite list of the food that she cooked . It could be that my taste has changed , but i do love curry . 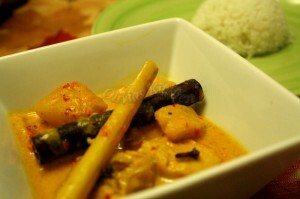 We used to go to thai restaurant a lot and we would order curry . 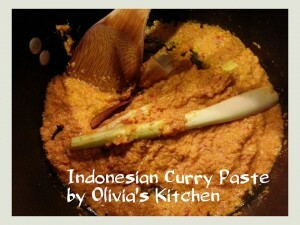 This Indonesian curry has a very similar taste to red or yellow curry that we used to get there . Not only they are easy to make , as long as you have the fresh herbs and spices , they’re quick too . I used boneless chicken thighs in this dish , you can always use chicken breast , the reason i like using chicken thigh is because they have more flavor to me and they’re good for long slow cooking or braising as well . 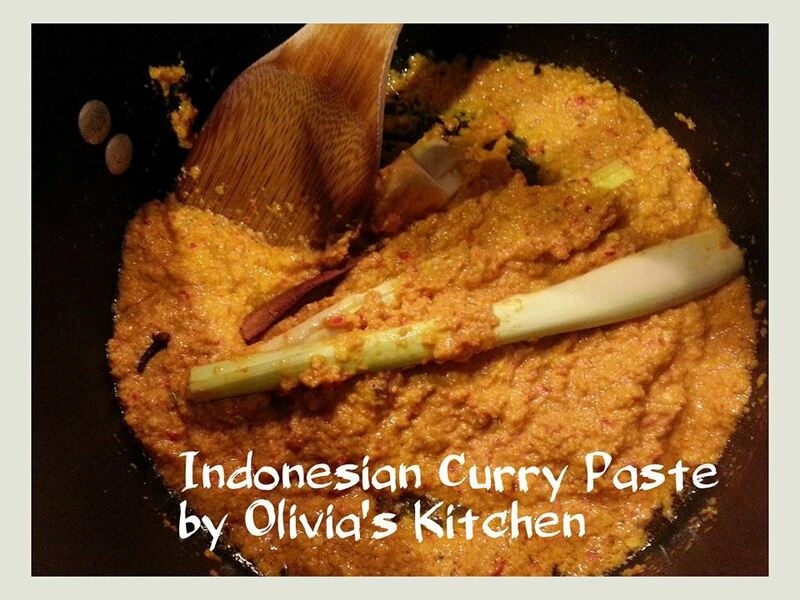 Don’t forget mortar pestle or food processor is a must in this south east asian dish . And serve it with jasmine rice . Make a paste from these spices , just throw them all in the food processor until it becomes very smooth paste about 2-3 minutes . 1. In a large pot , heat up oil , stir fry the paste with the fresh herbs until it’s fragrant about 3-4 minutes . Then add coconut milk and water , stir to mix . Bring to boil , add the chicken in . 2. Bring to boil , then cook on low for 25 minutes . Add the potatoes , cook additional 20 minutes . 5 minutes before it’s done , throw the red bell pepper in . Serve warm with rice .